This lets you control the appearance of a "Developer Story" tab next to the default "Profile" and "Activity" tabs on your public user-profile. It's off by default: visiting the profile of a brand-new user shows only "Profile" and "Activity". Just one problem: merely viewing the preferences page will turn the option on. Thus, clicking around to explore the options available on your profile can result in an empty or incomplete story being made visible to the world. 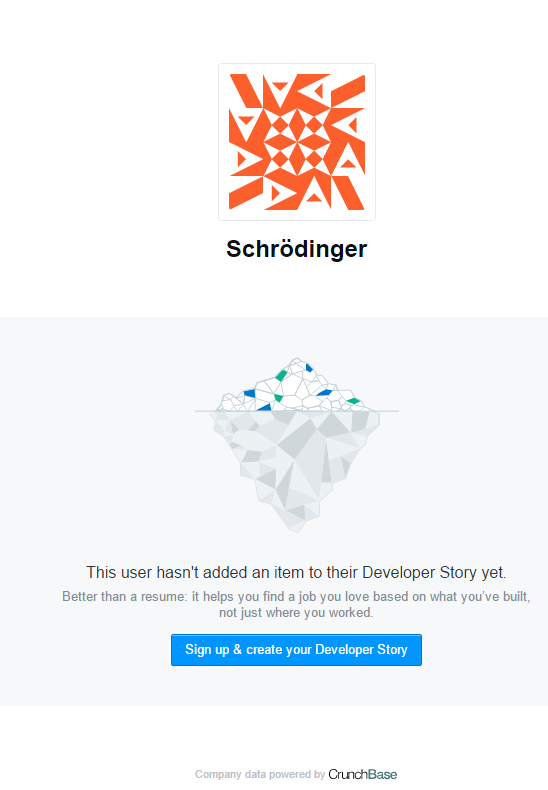 Click the "Developer Story Preferences" link on the left. Observe that the "Show the developer story tab" option is checked. **DO NOT CHANGE ANY OPTIONS. Click the tab and confirm that it does indeed display an empty Story. I've reproduced this with users created both before and after the public rollout; both exhibit the same behavior. Note that if you explicitly turn the option off, it does stay off - visiting preferences does not re-enable it. This is fixed now, but not in the way I expected. Turns out, I was extremely confused as to how this was supposed to work... And what that option was supposed to do in the first place. Since bluefeet and the rest of the Story team took some time to explain things to me, I figured I'd write up my misconceptions here, both as a mea culpa of sorts and also for the benefit of anyone else confused by it. First, the big misconception: the presence of the tab does not imply the presence of a story. This is why I was looking at it in the first place, and also where the real bug sat: that tab is supposed to be there on all profiles. This goes back to the original charter for the "Dev Story" feature: the long-term goal is to replace the "bio" section, the one that shows up on the first page of the profile. That's why it leads with an image, a "personal statement", and the user's favorite tags: these effectively duplicate functionality that's already on the first page, and eventually they'll be the same thing (in some form). That's a long ways off though. The first step is to work out all the kinks with the basic functionality, and make sure that the other part of the page - the actual story if you will - is able to work as a suitable replacement for the old Careers CV feature. So rather than trying to replace both profiles at once, the short-term goal is to just move CVs into their new home on Stack Overflow proper, while setting the stage for further consolidation on down the road. If you haven't written a story, nothing is going to appear under that tab, even if the option is checked (apart from a big picture of an iceberg). That's why the page is linked to from the "privacy" link on the tab itself - all it does is control access to the tab for folks who happen to be browsing your profile. Critically, you still have to actually write a story if you want anything that's not already public to show up there; by default, the information on that page is just stuff that's already on your public profile. The page wasn't visible by default on most profiles. That's the actual bug here: it was supposed to be visible everywhere unless you'd turned it off. Again, the idea is to eventually just roll the default "stub" page into the normal profile, replacing the "bio" section that appears there now. I'd turned mine off (on both my main account and a test account) during the private beta, by clicking through from the "privacy" link on the page itself. Of course, both of those accounts had stories - that was what I was testing, after all. So I had assumed - incorrectly - that the option became available because I'd created stories. For most people, creating a story would've been a separate step - and one they'd have to choose explicitly after seeing that the page is public. Michael Stum has just rolled out a fix for the missing tabs; Stéphane is working on ideas for making the existence of the checkbox more obvious from the page itself. Not the answer you're looking for? Browse other questions tagged bug status-completed profile-page developer-story settings-page .